Editor's note: Information provided by police has changed over the last 24 hours. The most recent information is in the update immediately below. 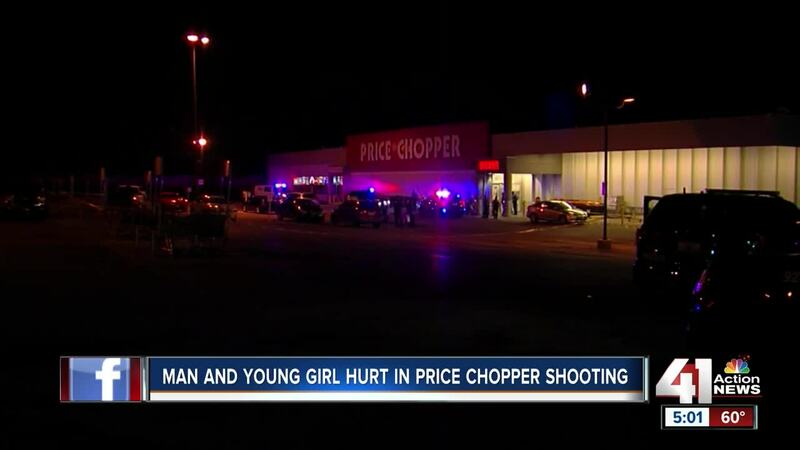 UPDATED, 10/24 3:30 p.m. | Police said Wednesday afternoon that only two people, including one child, were shot Tuesday night outside the Price Chopper store at 9550 Blue Ridge Boulevard. The child, a girl, was shot three times. Police initially thought that two juveniles were struck by gunfire, but only the girl was shot, Sgt. Jake Becchina said in an update. A man injured in the shooting remains in serious condition. The 8-year-old girl had surgery Wednesday, according to family. The shooting began after an altercation between the victims and one or more suspects in the parking lot outside the store. An armed security guard did fire his gun inside the store at a person he believed to be involved in the altercation in the parking lot, Becchina said. Police had previously said that no shots were fired inside the store. Detectives are looking for a dark-colored SUV that was last seen leaving the store parking lot. Anyone with information is asked to contact the TIPS hotline at 816-474-TIPS or the KCPD assault squad at 816-234-5227. UPDATED, 10/24 10:30 a.m. | KANSAS CITY, Mo. — Three people, including two children, were injured in a shooting at a Kansas City, Missouri, grocery store Tuesday night. Police said Wednesday that two of the victims were juveniles, one boy and one girl. A man was also seriously injured in the shooting, which occurred around 8 p.m. at the Price Chopper store at 9550 Blue Ridge Boulevard. Both the boy and the girl sustained injuries that were not life-threatening, Sgt. Jake Becchina said. Police had initially said Tuesday that a man and a woman were injured in the shooting. An altercation in the parking lot outside the store led to one or more suspects firing shots at the victims, Becchina said. Because of that gunfire, an armed security guard for the grocery store fired additional shots near the entrance of the store toward the parking lot. Police do not believe that anyone was injured in that gunfire. No shots were fired inside the store, Becchina said. Police have not released the names or ages of any of the victims in the shooting. Anyone with information is asked to call the TIPS hotline at 816-474-TIPS or the KCPD assault squad at 816-234-5227. ORIGINAL, 10/23 | KANSAS CITY, Mo. — Police are investigating after a man and woman were shot at a Kansas City, Missouri, grocery store Tuesday night. 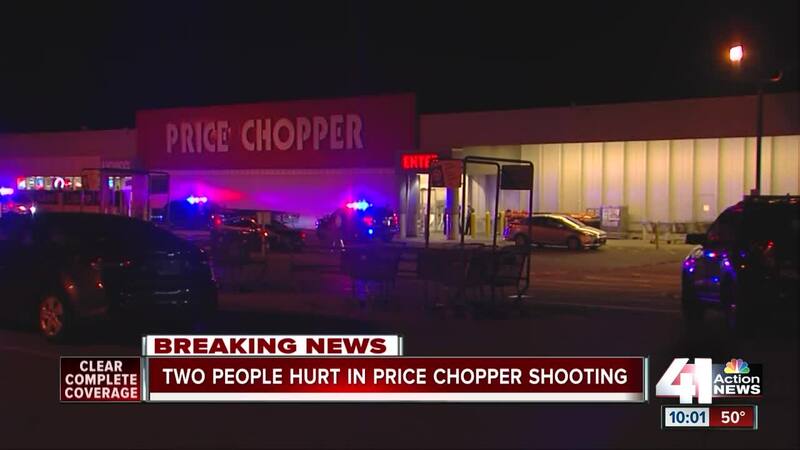 The victims were shot around 8 p.m. at the Price Chopper at 9550 Blue Ridge Boulevard. According to preliminary information from police, shots were fired both inside and outside the building. The victims were taken to a nearby hospital. Their injuries are not believed to be life-threatening. Police haven't released any details about what led to the shooting or if they are looking for any suspects.